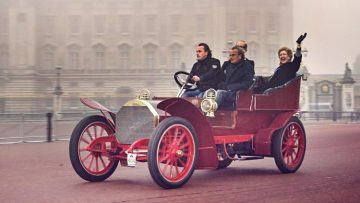 Bugattis were the most-expensive cars sold at all three Paris Rétromobile week 2018 classic car auctions houses: Artcurial (Type 57 Atalante Coupé), Bonhams (Type 57 Torpedo racer) and RM Sotheby’s (Chiron). Three very different Bugattis were the top results at the auctions of Artcurial, Bonhams and RM Sotheby’s during the annual Rétromobile week classic car sales in Paris in February 2018. 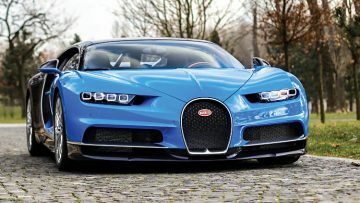 The top result at RM Sotheby’s was $4 million for a 2017 Bugatti Chiron, which was also the highest price paid for any car during the Paris sales. Artcurial’s top result was $3.6 million for a 1938 Bugatti Type 57 Atalante Coupe while Bonhams sold a 1935 Bugatti 57 Torpedo racer for $874,000. Although all three auction houses failed to sell the cars offered with the highest pre-sale estimates, and the much anticipated Le Mans-winning 1963 Ferrari 250 / 275 P was withdrawn only two weeks before the auction, the actual sell-through rates in Paris were higher than a year ago. For the fifth consecutive year, Artcurial, Bonhams and RM Sotheby’s had classic car auctions during the annual Paris Rétromobile classic car week in early February 2018. In 2018, the sell-through rates of all three auctioneers were higher than a year ago. However, earnings were somewhat hit by far fewer multi-million dollar cars on offer and several in this category failing to reach reserves. Furthermore, the cars with the highest pre-sale estimates failed to sell at all three auctions. 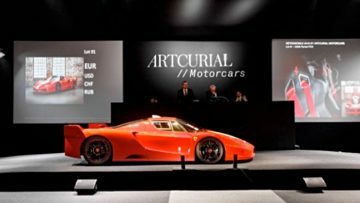 Artcurial is the official auctioneer of the Paris Rétromobile and as usual had by far the largest classic car auction in 2018 with sales split over three sessions on two days. In 2018 (2017) Artcurial earned €31,815,556 / $38,814,990 (€32 / $33.9 million) with a sell-through rate of 86% (73%). 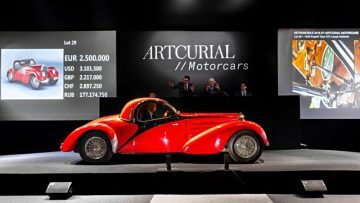 Artcurial sold five cars for over a million dollar compared to seven a year ago. In 2018, Artcurial achieved auction model record prices on 13 lots compared to 4 in 2017. 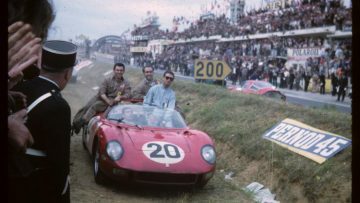 Artcurial’s major disappointment was that the Le Mans-winning 1963 Ferrari 250 / 275 P was withdrawn from the sale only two weeks prior to the auction. Furthermore, the highest bid of the auction week of €5.5 million failed to secure the 1958 Ferrari 250 GT Cabriolet Series 1. For RM Sotheby’s the annual Paris sale is a much smaller auction but still one of usually only two held per year by RM Sotheby’s on the European continent. In 2018 (2017), RM Sotheby’s earned €23,745,333 / $29,200,000 (€27,576,400 / $29,451,600) with a sell-through rate of 83% (78%). 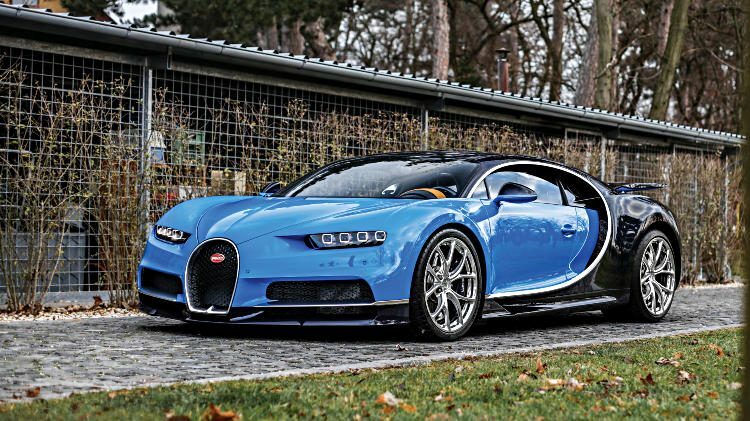 RM Sotheby’s had the highest Paris 2018 result with the Bugatti Chiron selling for a model record $4 million. In 2018, RM Sotheby’s sold five cars for over a million dollar compared to six a year ago. 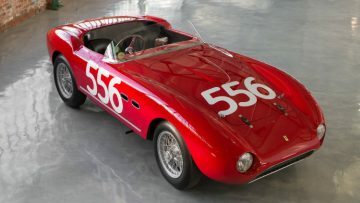 Highest bids of over a million dollar failed to buy a further four cars, including the highest bid at the auction: €3.45 million for a 1953 Ferrari 166 MM Spider. Bonhams Paris Rétromobile 2018 sale was a seven-hour marathon that included nearly 200 automobilia lots and 130 cars. In 2018, Bonhams earned €14,930,317 / $18,364,000 with a sell-through rate of 77%. Bonhams brought only three cars to the Paris sale with upper estimates exceeding a million dollar. The top car, a 1968 Lamborghini Miura P400 S Coupe, failed to sell with a highest bid of a million euro. 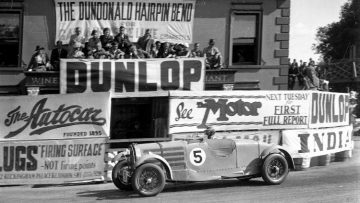 Bonhams top Paris 2018 results were €713,000 ($874,000) paid for a 1935 Bugatti 57T Torpedo Racer and the 1904 Fiat Type 24/32 rear-entrance tonneau – both cars very much in the Rétromobile week spirit. In 2018, Bonhams failed to achieve a million dollar on any cars compared to three in 2017. Note: Prices include premium. Auction held in euro, $ conversion as per day of auction / as stated in by auction house in first published results. 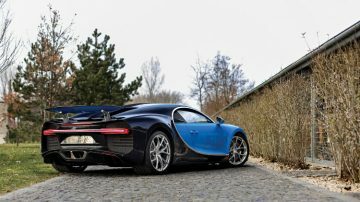 The most-expensive car sold at the Paris Rétromobile 2018 auctions was a 2017 Bugatti Chiron that achieved €3,323,750 ($4,088,212) at the RM Sotheby’s sale. This Bugatti Chiron finished in two-tone Atlantic Blue over French Racing Blue was one of the first 20 cars produced. Only 500 Chirons are scheduled for production over a seven-year period. This was only the second Chiron ever sold at auction – the first one achieved $3,772,500 at the RM Sotheby’s New York sale in December 2017. The New York car was a never registered, US-specification car while the Chiron sold in Paris was in European specification and had 1,000 km on the clock. Mecum achieved a highest bid of $3.5 million for a 2018 Bugatti Chiron at the Kissimmee sale in Florida in January 2018 and will offer a second Bugatti Chiron at the Los Angeles sale in mid-February 2018. The second highest result at the Paris Rétromobile 2018 auctions was much more in the spirit of the Rétromobile week for a car nearly eight decades older than the Chiron. 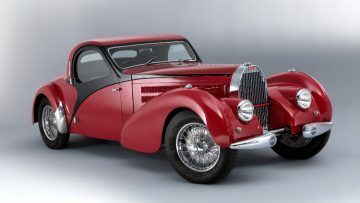 A 1938 Bugatti Type 57C Coupé Atalante sold for €2,903,200 ($3,557,376) as the top result at Artcurial. A third Bugatti auction record was set at the RM Sotheby’s Paris 2018 sale with a 1993 Bugatti EB 110 Super Sport Prototype that sold for €1,152,500 ($1,417,575). Although the EB110 cars are not universally liked, prices are now regularly approaching those of the later Veyrons. The top Ferraris failed to sell at Paris Rétromobile 2018 – see list below – but three Ferraris still managed to achieve million-dollar results. A basically unused 2006 Ferrari FXX was the surprise top Ferrari result in Paris when it achieved €2,674,400 ($3,277,000) at the Artcurial sale. Ferrari built only 38 FXX track-only but the owner of this car preferred not to participate in the Ferrari-run racing series. As a result, the car has been driven for less than 100 km and sixth gear has never been engaged. The car was sold with the original transportation crates with many accessories and spare parts never unpacked. 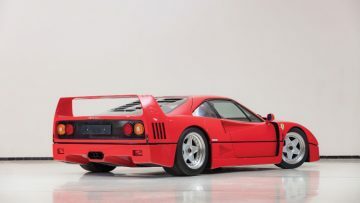 A 1992 Ferrari F40 sold for €933,125 ($1,150,000) at RM Sotheby’s. Both F40s achieved solid results for two cars without special features or any remarkable numbers. A 1954 Maserati A6 GCS/53 Spyder with coachwork by Fiandri and Malagoli sold for €2,445,600 ($2,983,632) – another auction world record achieved at Artcurial. This Maserati was is one of only 60 examples built. It retained its original engine and most of its original body and mechanical components despite being enthusiastically raced by its early owners. 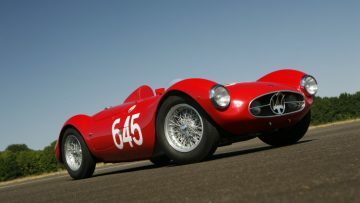 The Maserati participated in the 1955 Mille Miglia. The second highest result at the RM Sotheby’s Paris 2018 sale was €2,001,875 ($2,462,306) paid for a 2005 Maserati MC12. The Maserati is an early production car of the 50 MC12s built and has covered only 12,500 km since new. 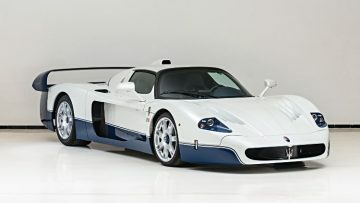 The result was the second highest of the five Maserati MC12 cars sold at auction since 2015. 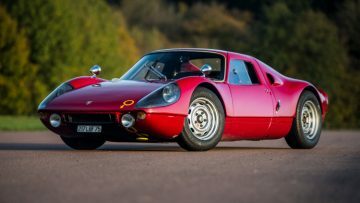 A 1964 Porsche 906 GTS sold for €1,873,600 ($2,285,792). This was the third from last of 50 examples built. The 906 GTS was extensively raced in period including participating the 500 km of Spa and the Nürburgring 1000 km. The Amelia Island auctions in March 2018 will be a better venue for buying top Porsches – many have already been announced by RM Sotheby’s and Gooding. RM Sotheby’s had a good result on a remarkably car when a 1958 BMW 507 Roadster Series II sold for a solid €1,776,875 ($2,185,557). 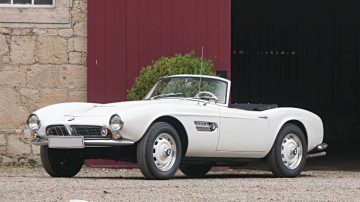 This BMW 507 had only two previous owners with the first owner only selling it in 2004. Remarkably, this 507 has been maintained since new by the same BMW-trained mechanic. Although never restored, this BMW 507 is not fully authentic and had for example front disc brakes installed, as the original owner often used the car for her daily driving. After seven Mercedes Benz 300 SL cars were offered just weeks previously at the Scottsdale, Arizona, auctions, it was somewhat surprising that this 1955 Mercedes Benz 300 SL Gullwing at Artcurial was the only standard 300 SL on offer during Rétromobile week 2018. The fully restored Gullwing sold for a magnificent €1,158,270 ($1,419,156). 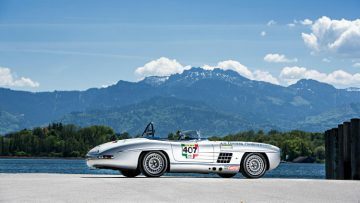 The 1957 Mercedes-Benz 300 SL Roadster to SLS Aluminum Competition Specification – a recreation of Paul O’Shea’s original aluminum bodied car on a 1957 Roadster chassis – at Bonhams sold for a rather disappointing €632,500 ($775,000). The top four Ferraris failed to sell at Paris Rétromobile 2018 with the Le Mans-winning 1963 Ferrari 250 / 275 P withdrawn only two weeks before the auction. This car was the last Ferrari to have won the Le Mans 24 Hours race as an official Scuderia Ferrari entry. 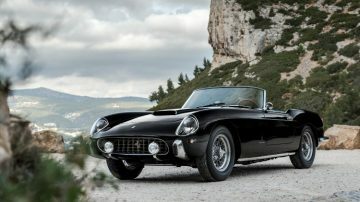 The remaining top Ferrari, the beautiful 1958 Ferrari 250 GT Cabriolet Series 1, chassis 0849GT, also failed to sell despite a highest bid of €5.5 million – the highest single bid at all the Paris auctions. Although well below estimate, the result would have been the best by over a million dollar for a Series 1 Cabriolet since at least 2014. RM Sotheby’s top Ferraris, the 1953 Ferrari 166 MM Spyder and 1965 Ferrari 275 GTB Alloy also failed to sell. The highest bid for the Iso Grifo A3/C was high for an Iso but the owner clearly expected more from a car originally owned by Johnny Hallyday. Whether by luck or design, Bonhams did not offer any multi-million dollar cars at Paris 2018. The Paris auctions did not really confirm or dispel the feeling that the multi-million dollar car market is in trouble. The number of cars in the $3 to $10 million range on offer in Paris was limited and several cars failed to sell despite offers well within range of recent results. The next major classic car auction series is in Amelia Island, Florida, in early March 2018 with Bonhams, Gooding and RM Sotheby’s the main auctioneers in the million-dollar car market.